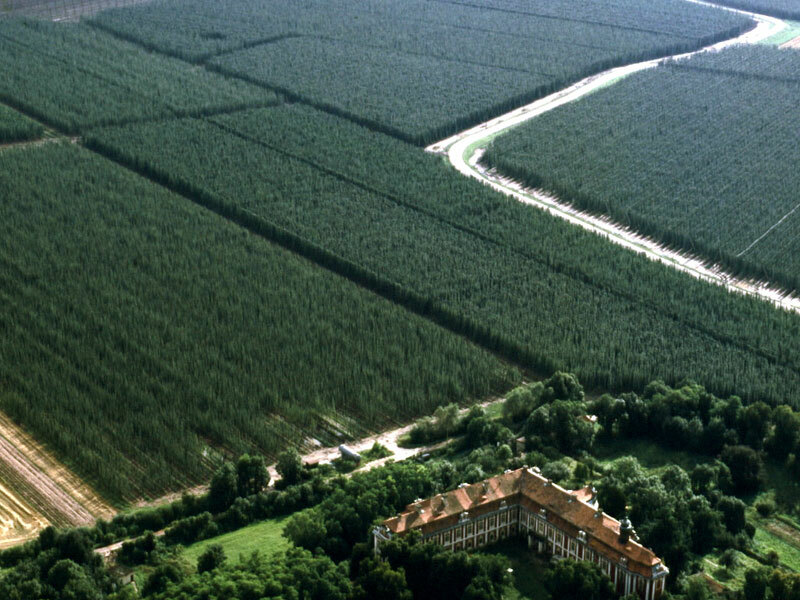 The Czech Republic belongs amongst the world largest hop producers. The main hop growing variety continues to be SAAZ belonging to the fine aroma hops group. 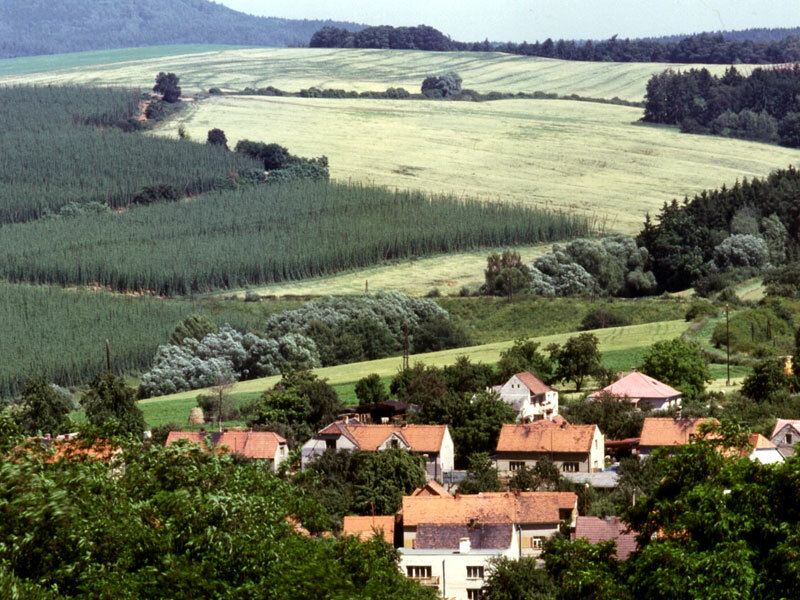 Hops in the Czech Republic are grown in three regions - Saaz, Trschitz and Auscha. 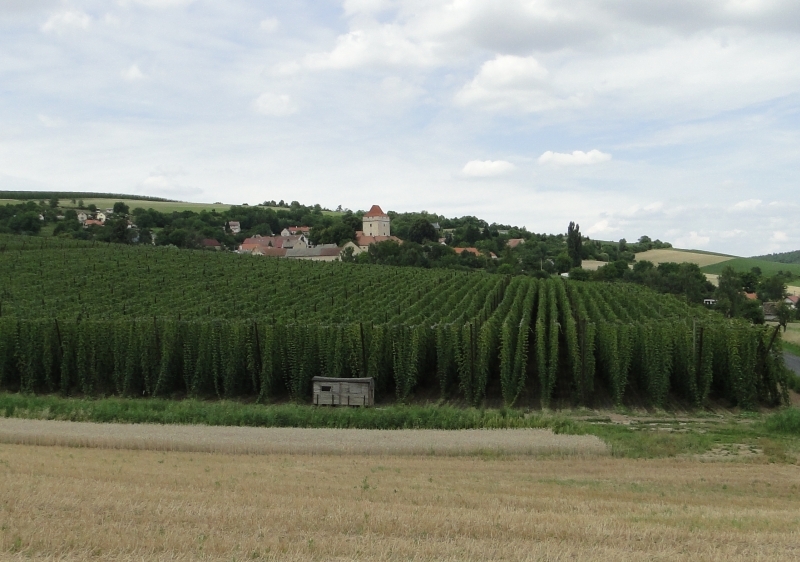 Recently new hop varieties based on the Saaz variety were endorsed in the Czech Republic. In 1995 varieties BOR and SLÁDEK were added to the list of endorsed varieties and in 1996 it was variety PREMIANT. These new varieties fulfil the precondition of higher alpha content and higher yields while other characteristics rank them amongst the best in aroma and dual purpose group. New varieties seem to be useful especially for the second hopping stage. In 2000 a new alpha variety AGNUS was registered. This variety is suitable for the first hopping either in form of extract or pellets. In 2004 a new aroma variety HARMONIE and in 2007 a new bitter variety RUBIN were registered. In 2008 two varieties were registered. The first was KAZBEK, aroma variety suitable for the second hopping stage and not only for traditional types of beer, however also english or american styles such as ALE, IPA etc. KAZBEK is also suitable for dry hopping for its spicy- lemon aroma. Therefore this variety belongs to so called "flavour hops" category of hop varieties. The second registered variety at that year was VITAL. The variety breeded especially for a pharmaceutical and biomedicinal using (high content of xanthohumol or DMX). VITAL is used for the first and second hopping stage and also belongs to "dual purpose" category. Further next two aroma varieties were registered in 2010. The variety SAAZ LATE is a fine aroma hop variety and reaches very similar brewing characteristics as SAAZ for its origin of SAAZ. Yield of this variety is higher compared to traditional SAAZ. SAAZ LATE is suitable for the second and third hopping stage. The variety BOHEMIE belongs to group of aroma hops. The part of genome originates from czech hop varieties SLADEK or SAAZ. 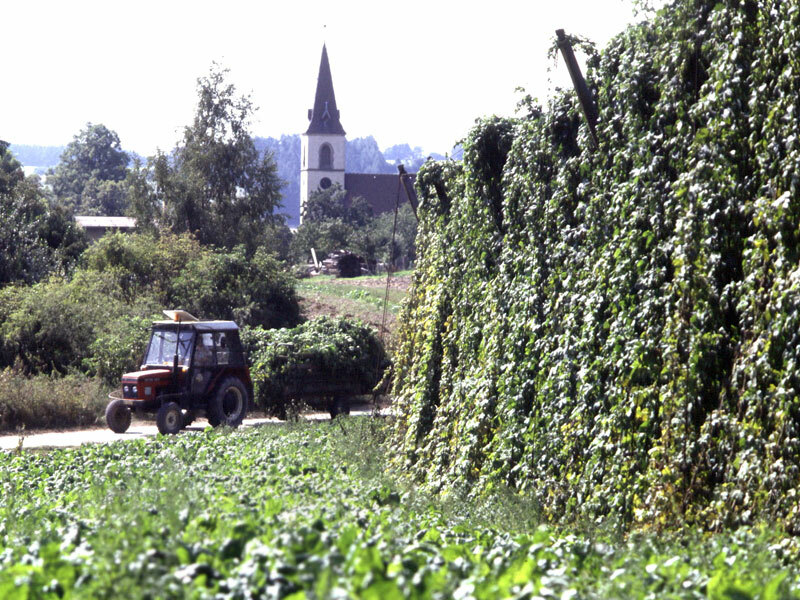 All czech hops are designated, certified and then supervised by Central Institute for Supervising and Testing in Agriculture (issues essential certificate of origin). Czech hops - tradition of quality! Powered by Joomla!, Design: Lukas Hajek - Imemine, Template:Free Joomla 1.5 Theme,Valid XHTML and CSS.